Google Company Information Is this your company? Add your own content to this page. We currently have 7 open jobs at Google. 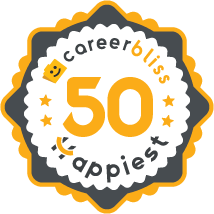 We've calculated that the average salary at Google is $70K based on 1,051 user-submitted salaries A total of 165 Google employees gave Google an average happiness rating of 4.0 out of 5.0. 63 Quality Raters from Google submitted salaries. 4.5 This is an outreach program organized by Google. It's main purpose is to find talented college/university students who are passionate about technology and are knowledgeable about it. These students will be picked to become Google representatives (not employees) in their respective colleges/universities with the following responsibilities: Promote, teach and help adopt Google Services to students, teachers and businesses. Become point of contact between Google and those mentioned above. Organize events inside your respective colleges/universities to either promote the services, teach how to use them or at least use Google's services to help minimize costs and make the event a success. You are there to learn and show the student body that Google is more than a technology company. 4.4 Google is a fabulous place to work. Unfortunately, as a contractor, there is a lot of stuff that I don't get to do, and I don't get to know about. Consequently, I can't really review what it is like to be a real Googler. I have to write that I am having a lot of fun. I really enjoy getting up in the morning and going to work. I love the man I work for - he is a wonderful guy. We have a very collaborative relationship. 4.4 Google! Wow! I've never worked at any place like it, and I probably never will again unless I get another gig at Google. I got stuck with running a software development lab that is obsolete but has to remain around to support a legacy system, so I didn't get to work with the new and really cool Google infrastructure. Since I was a contractor, I had no chance of moving unless Google decides to convert me to full time, which they are thinking about. Google is arguably the internet’s greatest invention. Founded by Stanford University students Larry Page and Sergey Brin, Google is a multinational search engine. They live by the mission: organize all of the world’s information and make it universally accessible and useful. Google has billions of web pages indexed because they want people to be able to find anything and everything they could possibly need. Expanding from more than just a search engine, they now offer many other tools that users find to be very convenient and useful. They provide a webmail service, known as Gmail. For large organizations, they launched the Goggle Search Appliance; the Mini, which was introduced three years later, is targeted towards the smaller organizations. Google can translate over 35 different languages with their machine translation service. Other services and products offered consist of Goggle Calendar, Blogger, and Google Docs, just to name a few. Their overall goal is to make it easier for the community to collaborate together. Working for Google is a dream job to anyone in the technology industry. They are known for having a completely informal corporate culture, even after going public. According to Fortune Magazine, they were the number one company to work for in 2007 and 2008 and were ranked fourth in 2009 and 2010. Also, the company was voted the most attractive company to graduating students. Google motivates its employees by utilizing a policy called Innovation Times Off, where the programmers of the company are allowed 20% to spend on their own personal projects. Google ranks first on the list of ideal employees taken from a survey of over 10,000 professionals. If you would like to apply for any positions, check out Google jobs below!